Regardless of whether you’re buying or selling a car, it’s good to have an idea of what New Jersey expects from their drivers in terms of auto insurance. There are two main types: Standard and Basic. The Standard Auto Insurance Policy provides a number of different coverage options and the opportunity to purchase additional protection. It is also the type of policy chosen by most New Jersey drivers. The Basic Auto Insurance Policy offers a bit less protection at a slightly lower cost. All NJ drivers are required by law to maintain the following types of insurance: Liability, Personal Injury Protection (PIP), and Uninsured/Underinsured Motorist Coverage. New Jersey drivers must have an insurance ID card for each vehicle on their policy. You'll need your NJ insurance card to have your NJ vehicle inspection done, if you're involved in an accident, or stopped by a police officer. New Jersey is one of the most populated states in the country, so it’s better to be prepared in case of an accident. Failure to present your insurance card could result in fines. What Should I Know About Dropping and/or Transferring Auto Insurance? The first thing you should remember to do after you’ve officially sold your used car is to drop that car from your insurance policy. Higher premiums in the future when you sign up for a new policy because you may now be seen as a high-risk driver. These negative consequences are especially important to note, particularly because New Jersey drivers already pay the most for their car insurance in the nation. How Do I Drop My Insurance When I Sell My Used Car? The main thing to do is call your car insurance company (i.e. GEICO, Allstate, AAA) and give them a formal cancellation notice. If you fail to contact your insurance company to let them know you’d like to terminate your policy, the company will continue to send bills. Having your account marked for non-payment could lead to blemishes on your credit score and higher car insurance rates in the future. Tell the representative the exact date you would like the cancellation to take effect. Depending on your insurance company, you can expect them to request a letter from you indicating your desire to stop coverage, ask you to sign a termination document, or ask that you fill out a cancellation form and return it to your insurance company. Don’t be afraid to ask the insurance agent to walk you through any/all of these requests. 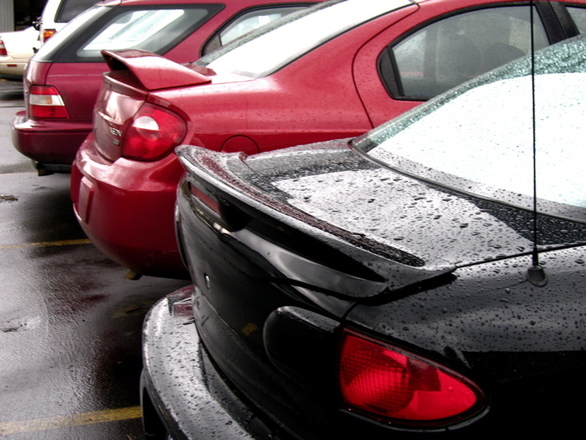 Depending on when you decide to sell your car, you may have weeks or months left on your policy. If this is the case, you can ask the insurance representative if you’re eligible for a refund. Give your insurance company at least one week to process your request. Once your car insurance has been cancelled, remember to stop automatic payments and/or withdrawals from your account. When you're ready to sell your used vehicle call We Buy All Cars in NJ at (856) 834-5558.